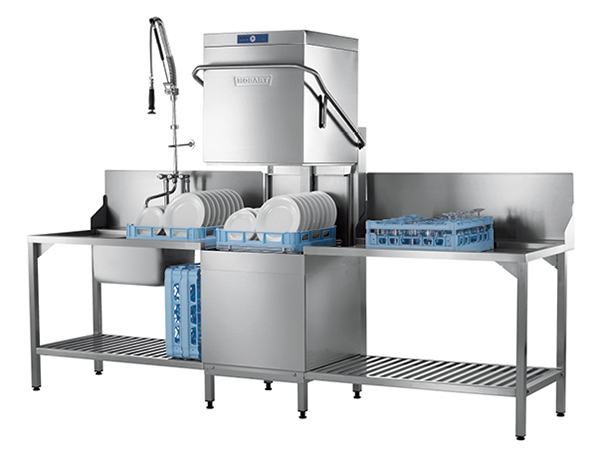 Hood-type dishwasher for straight through or corner operation, capacity 60 racks, 1080 plates or 2,160 glasses per hour. Rinse Pump ACCURINSE: guarantees a constant 2,5 l rinse, independent of on-site pressure. Saves up to 30% water, energy and chemicals. 20mm inner / 25mm outer diam. Cycle times 1) 60 sec. 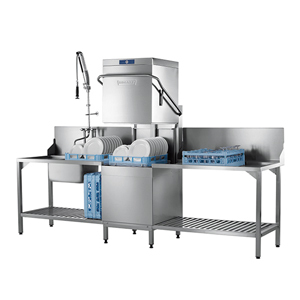 1) To reach set rinse temperatures even with cold water connection, the actual cycle-times extend accordingly. For further brochures or other languages please contact your dealer or contact us.